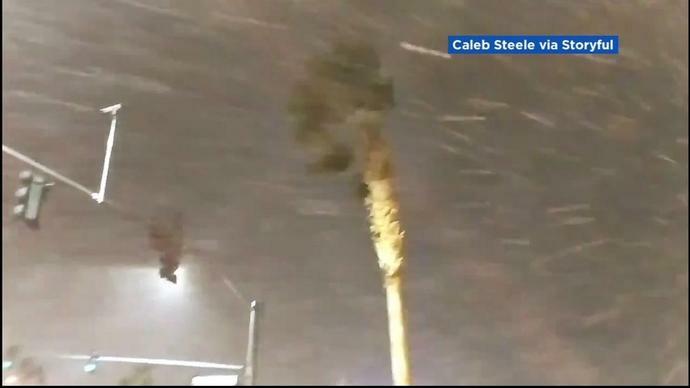 Many Las Vegas residents got to see a rare sight on Sunday-- snow! Vegas' Jonathan Marchessault rips refs for penalty that changed Game 7 originally appeared on nbcsportsbayarea.com Everybody who watched Game 7 between the Sharks and Vegas Golden Knights on Tuesday night knows exactly when everything changed. And after the Sharks' 5-4 overtime win at SAP Center, Golden Knights forward Jonathan Marchessault didn't hold back when talking about that moment, with the refs in his sights. "I really hope Joe Pavelski is OK," Marchessault told the media in San Jose.